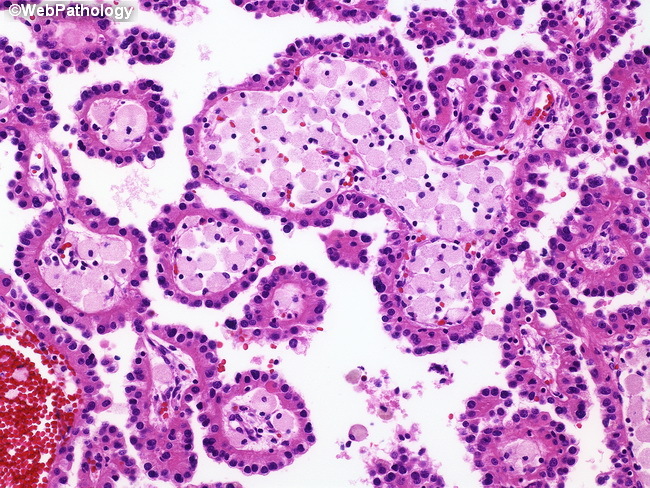 Papillary renal cell carcinoma is subdivided into two types. In type 1, the papillae are lined by a single layer of tumor cells with scant amount of pale cytoplasm and small hyperchromatic nuclei without prominent nucleoli. The papillae contain numerous foamy macrophages. Usually, they are low-grade tumors and also tend to present at lower stage than type 2 tumors.